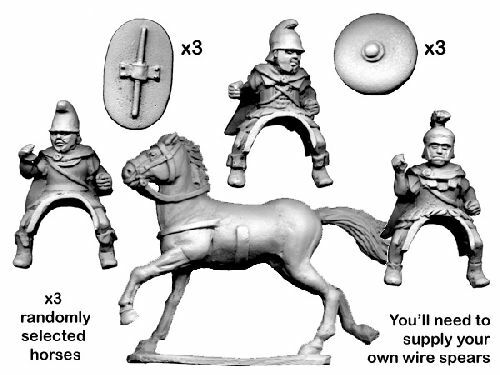 Contains 3 unpainted 28mm high figures and 3 horses. The shields need to be glued in place. The figures do not come with spears. We recommend spear pack NSS102 for these figures.